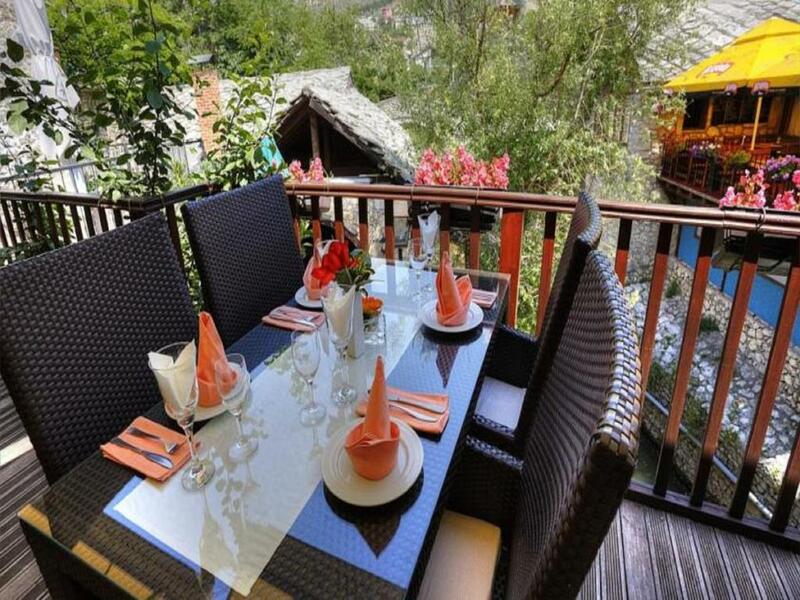 Hotel Kriva Cuprija, Mostar in Bosnia - tailor made fly drive holidays. 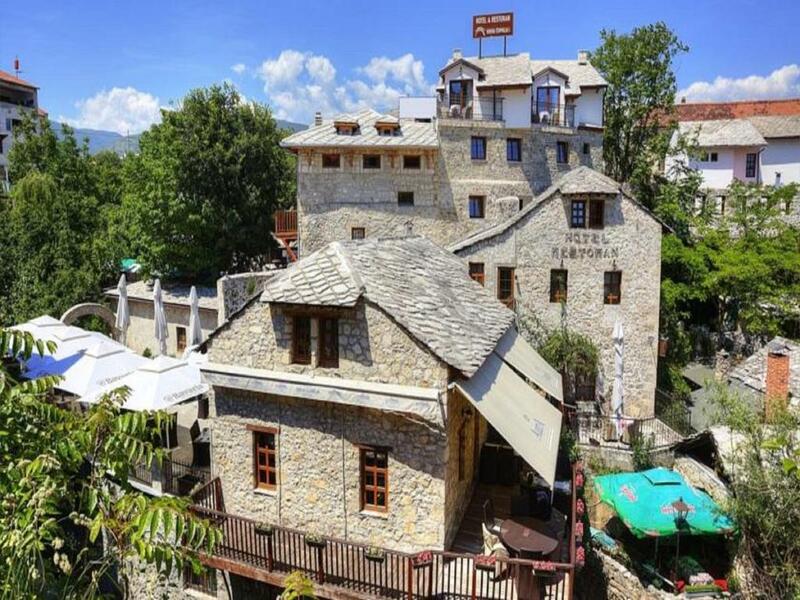 The Hotel Kriva Cuprija (2) has been built in Austro-Hungarian style and certainly provides a pleasant place for a vacation in the heart of UNESCO Zone in Mostar. The hotel was opened in May 2009 and has been categorized as a three-star hotel. 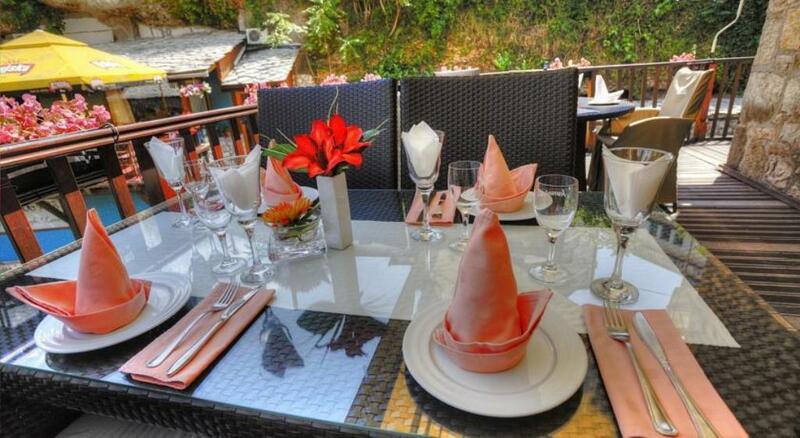 It is situated only 200 meters from the Old bridge and the owners' restaurant - the Kriva Cuprija 1. 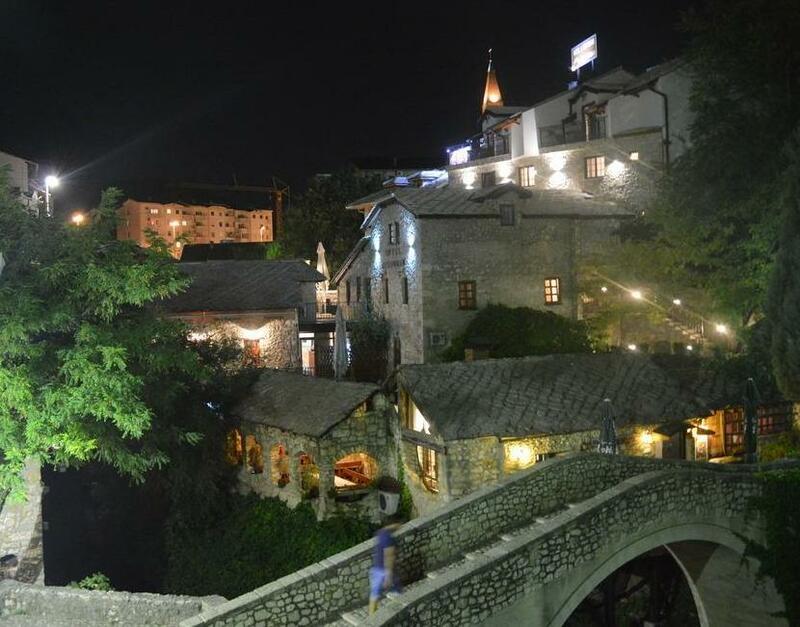 You can enjoy the beautiful view of the Old bridge, the old part of the town and the Neretva river from the terrace. 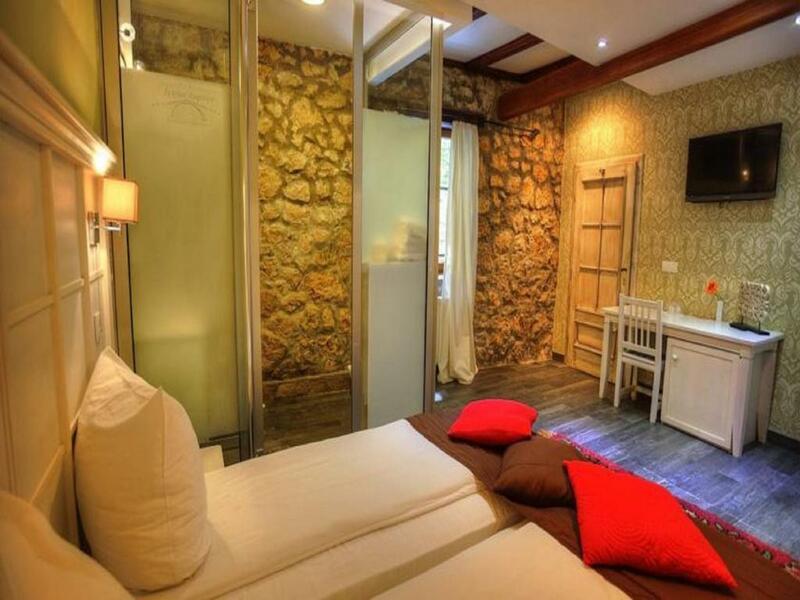 Accommodation: the modern-equipped rooms will provide maximum relaxation and spaciousness. 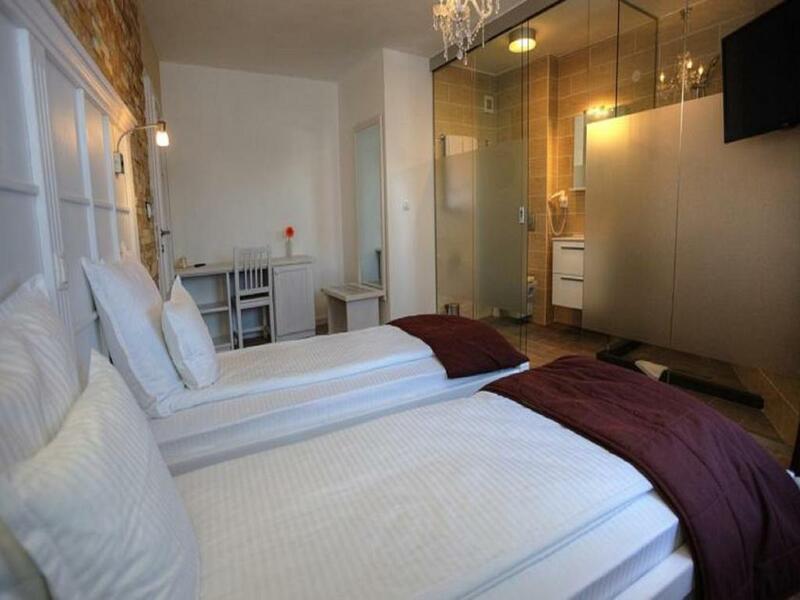 Facilities include air conditioning, cable TV - with LCD screen, telephone, free internet usage, private safe, ensuite bathrooms with hair dryer and massager in shower. 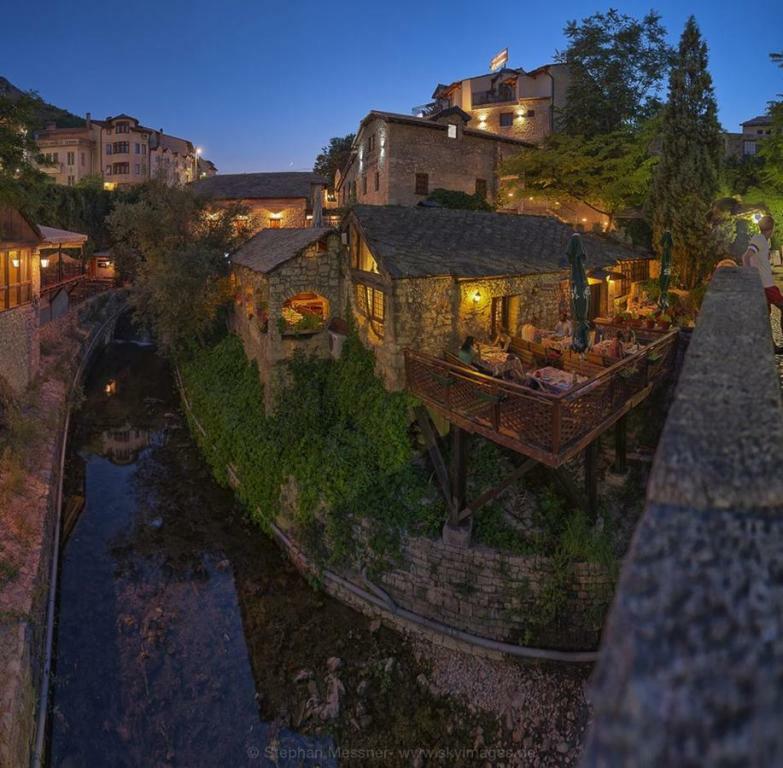 Enjoy the beautiful view of the Old Bridge, the old part of the town and the Neretva river from the terrace or you can refresh yourself in one of two outside Jacuzzis which are free for guests. 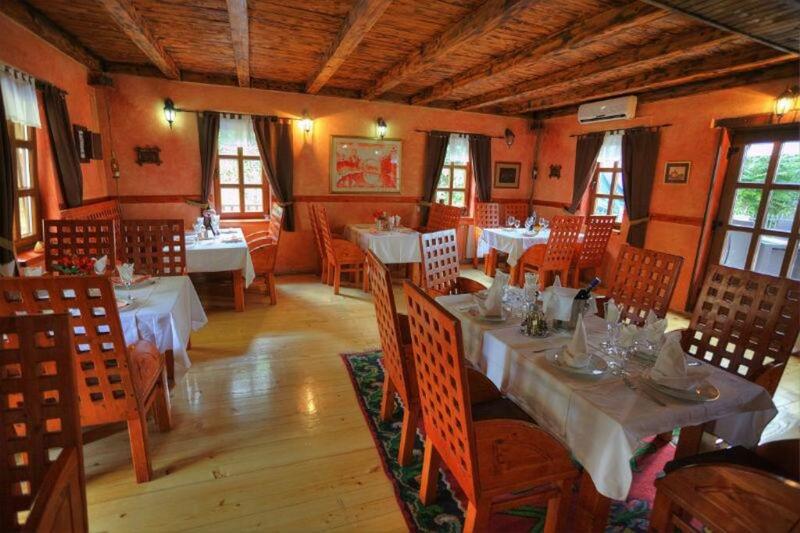 The restaurant of the hotel “Kriva Ćuprija 2” has a capacity of 40 persons and offers local and international cuisine, which will satisfy the most demanding gourmets. 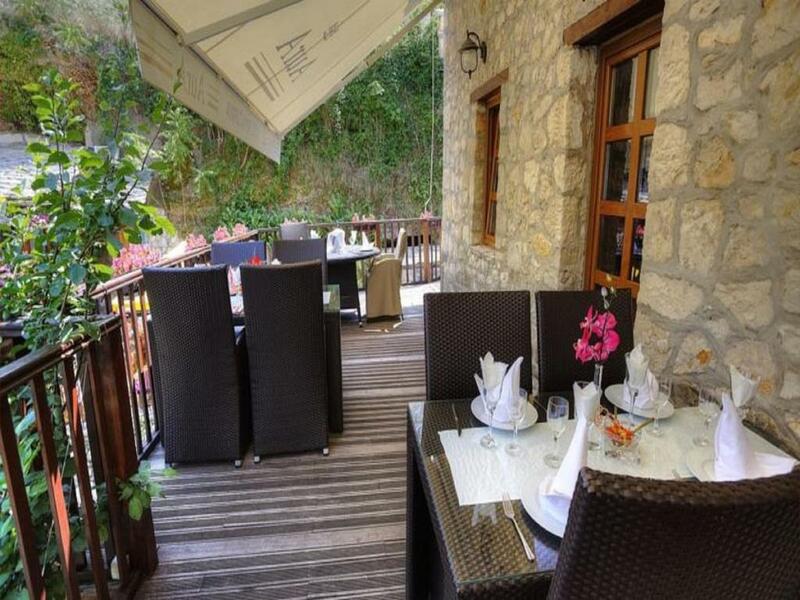 Their menu offers 45 different dishes, which includes traditional Bosnian specialities like roasted lamb from the baking tray, “Alipasa’s steak” and wide selection of fish specialities, desserts, salad. For a special treat they serve traditional doughnuts with cheese, olive oil, prosciutto ham and cream. The restaurant is also equipped with a good wine cellar and they offer 60 sorts of the most respectable Herzegovinian and international wines. 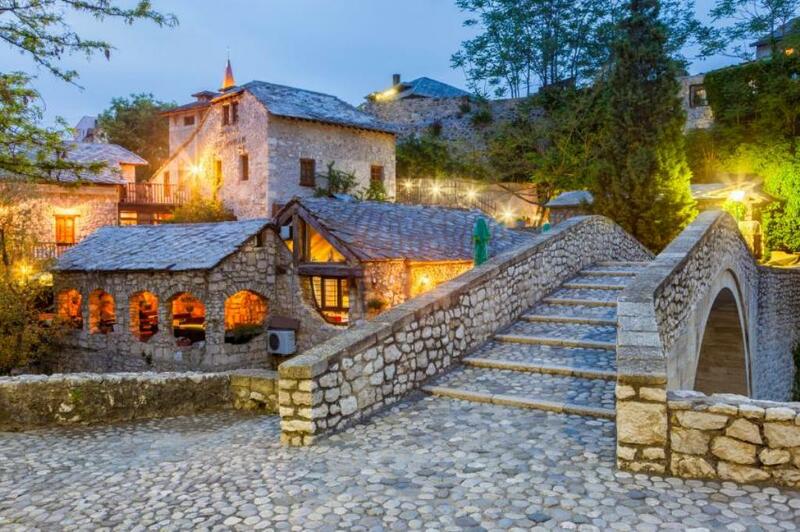 "I must mention how impressed we were with Hotel Kriva Cuprija, Mostar, the welcome we received and the food was excellent."